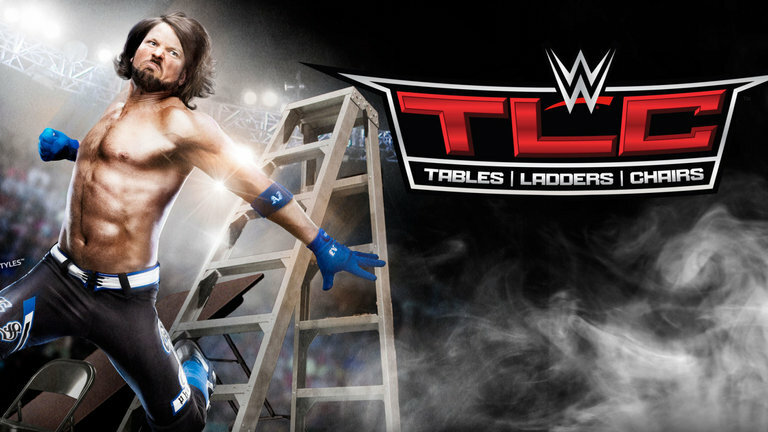 Its that time of year again and the road to Wrestlemania is in full gear. This Sunday 30 men and woman battle in their respective Royal Rumble matches to earn a championship match at Wrestlemania. 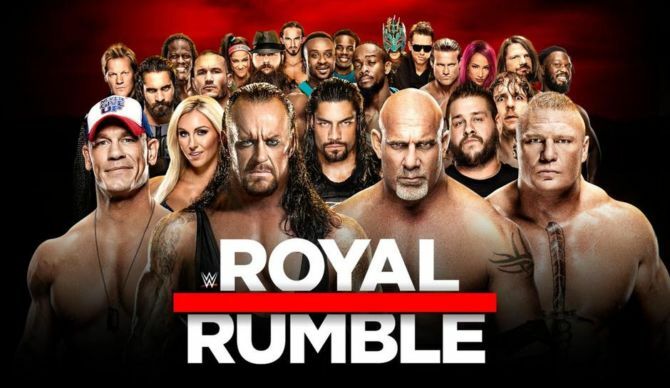 Although, the Rumble matches are always exciting, this years Royal Rumble card is stacked with a ton of great matches and matches I don’t think any of us thought we were going to see as 2018 came to a close. 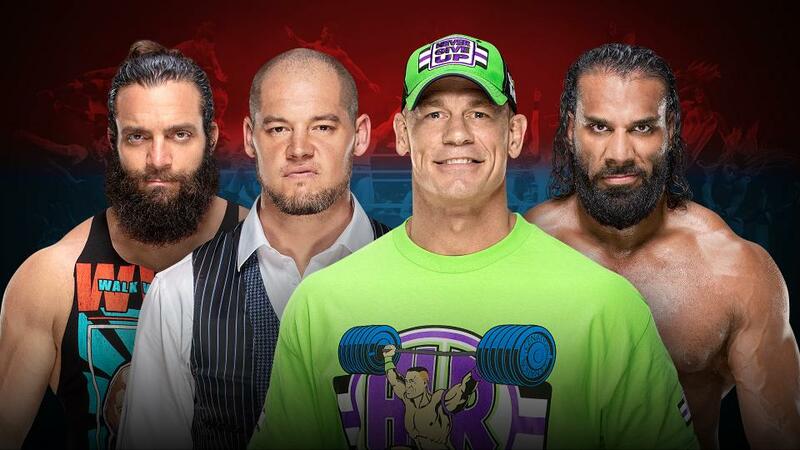 The road to Wrestlemania is always fun but the year 2019 feels more unpredictable than usual. However, I shall still make mine. Lets see if you agree with them? Last year Shinsuke Nakamura won the Royal Rumble and faced off against AJ Styles at Wrestlemania for the WWE Championship. Although, he wasn’t victorious I did not expect him to be n the kick-off of the Rumble this year. 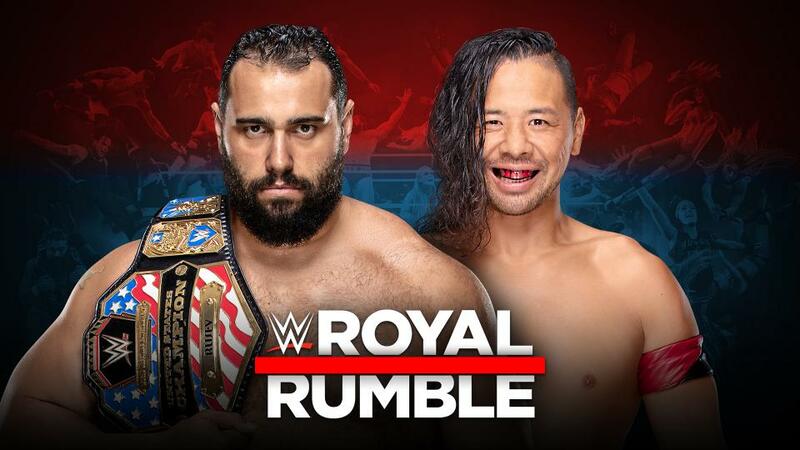 I’m not 100% sure if Rusev and Nakamura will or will not be in the Rumble but I hope they are. As for this United States Championship match, Nakamura’s reign was unfortunately forgettable and Rusev has been able to stay a fan-favourite and relevant through all of his ups and downs of 2018. I think Rusev continues his reign as United States Champion and Nakamura finds himself soon this year but away from the US Title. 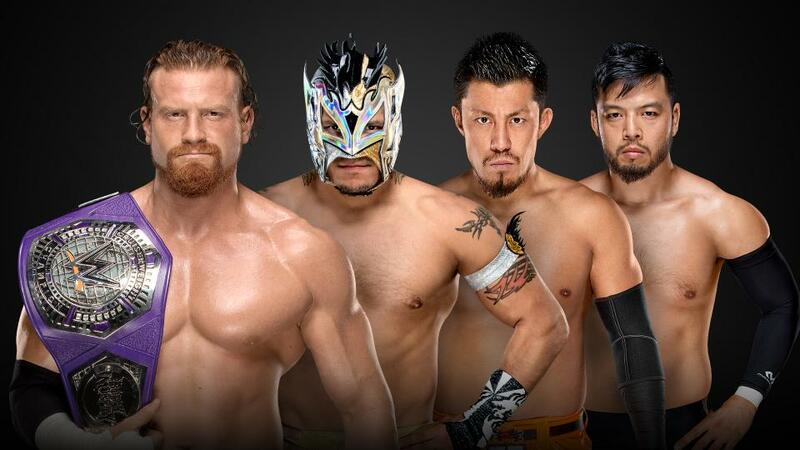 This match has the potential to steal show as most cruiserweight matches but unlike most cases we’re not getting a singles match but four of 205 Live’s best in a fatal four way. These high-flyers really get to showcase the action that 205 Live has to offer on a weekly basis. I feel like with the move of Mustafa Ali and the popular response he’s gotten on the main roster thus far, the casual fans will be paying attention. I dont really see Kalisto winning the match because I think it would mess with the Lucha House Party shtick which I actually enjoy. I dont see Tozawa winning either but then again I’m not sure what kind of push he’s been getting on 205 Live. It really comes down to Buddy Murphy or Hideo Itami. I do think Itami needs a big victory, but I think that’s coming in the near future and Murphy still retains here. This wasn’t a match I was expecting we were going to see but like I said…this year starting off with a shake-up has really been unpredictable. 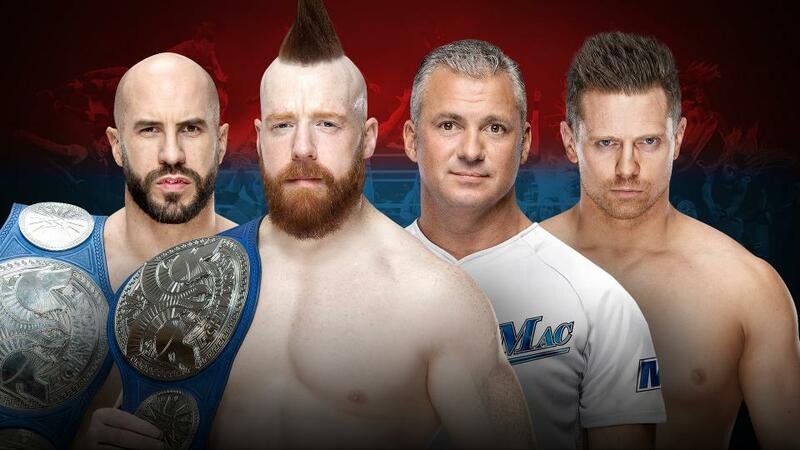 If somebody told me that last summer we would be seeing Shane O’ Mac and The Miz as a cohesive tag team going after the tag team titles, I’d think you were listening to someone booking their WWE Universe in WWE2K19. I’m a huge fan on The Bar and I patiently waited for them to win the tag team titles on Smackdown so I’d hate to see them lose the belts but I feel like it only makes sense the way they have been booking this Shane McMahon and Miz friendship. I do think The Miz and Shane McMahon are going to implode as a team leading to a feud and that The Bar will get the tag titles back before we get to Wrestlemania but the belts change hands at the Rumble. The women’s division has me way more confused but excited on the road to Wrestlemania compared to the mens division right now. I think this might be the first ever Wrestlemania where the women main event but who will it be? Its inevitable that globally known Ronda Rousey will be involved in this potential historic match and rightfully so but against who? Becky Lynch? Charlotte? Both of them? Four Horsewomen vs. Four Horsewomen? How do we get to the conclusion to this question? Well, when I really started to think about this dilemma, the only thing that makes sense is that Becky Lynch does not beat Asuka to become Smackdown Women’s Championship again. One, because I would hate Asuka to have a pointless one month reign when she really needs to regain her dominance she lost in 2018. Asuka won the Rumble, lost to Charlotte and after coming up on the short end of a feud of then Women’s Champion Carmella, she’s really lost her original hype. The second reason I don’t see Becky winning here is because I see her returning later in the night by entering the Rumble to earn herself a shot against Ronda Rousey at Wrestlemania. 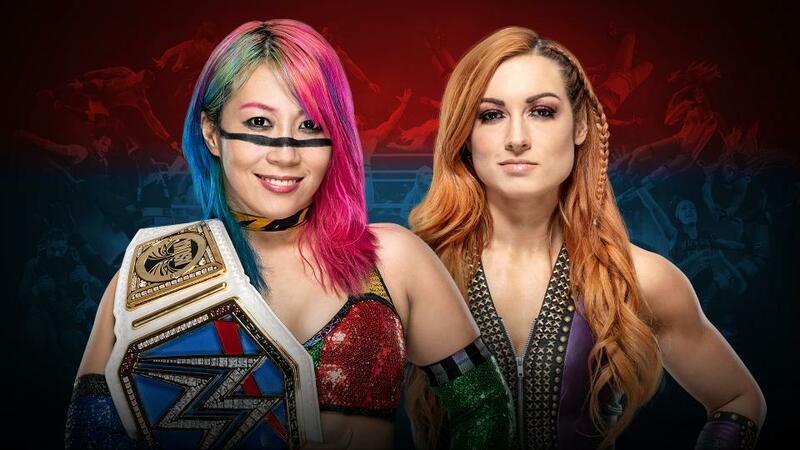 I dont know how Becky would lose here but hopefully by interference. Ronda Rousey has had one helluva a year since debuting last year at the Royal Rumble. Also, the way things were looking for her being involved with Becky and Charlotte more than anyone on Raw since Survivor Series, I had no idea who her next opponent from Raw would be. I mean she could only beat Nia Jax so many times, until it got old. I did not however expect her to call out the “Legit Boss” Sasha Banks. Sasha Banks spent the majority of 2018 being off and on with her best friend Bayley who she teamed with for most of the year. This led me to believe that Sasha and Bayley would heavily focus on becoming the first ever Women’s tag team champions after the titles were announced on being a real thing by Santa Vince. I didn’t expect this special treat. If you know anything about me, you know that Sasha Banks is my favourite female wrestler of all time and I think she can have a good match with anyone. I expect her to give Ronda Rousey one of her if not her best match thus far. Charlotte still holds that title of giving Ronda her best match at Survivor Series but I believe Sasha can give Charlotte a run for her money. Plus, with every match Ronda gets better and better and she’s wrestled a lot more since Survivor Series. I also wonder if this was there way to get Sasha and Bayley involved with Ronda Rousey to eventually lead to a Four Horsewomen vs Four Horsewomen match? I mean both girls have been throwing up a lot of “four” hand symbols in recent weeks. Ronda already has issues with Charlotte, Becky Lynch and now Sasha Banks. I think she might need some back-up. 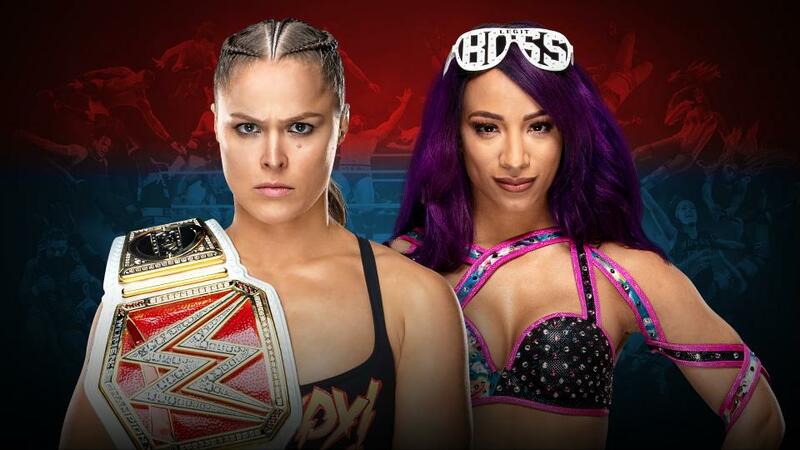 Regardless, I don’t see Ronda Rousey picking up her first loss until Wrestlemania so I predict she comes out on top here. I wouldn’t complain if Becky and Charlotte get retribution for what happened at TLC by costing Ronda the match and allowing Sasha become the Women’s Champion and first one to beat Ronda but who are we kidding? 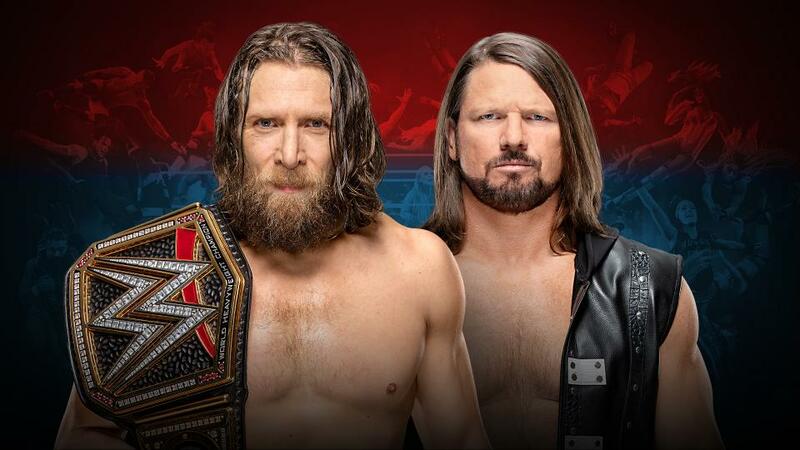 “The New” Daniel Bryan faces off against “The Real” AJ Styles one more time for the WWE Championship. I say one more time because as much as I enjoy seeing these two super talented superstars face each other, this would be there fourth or fifth encounter and it should be there last for a little bit to give us something fresh heading into Mania. I’ve really enjoyed this “new” heel Daniel Bryan and its really been the most refreshing angle for Bryan since returning to the ring. The whole “Yes Movement” shtick must of really gotten old but we didn’t want to accept it cause we were happy to see Bryan back. AJ Styles had a year long run as the WWE Champion and it took this new and improved Daniel Bryan to dethrone him. As much as I enjoyed AJ Styles as champion, I think we’re due for a little break from him in the title picture and Daniel Bryan as our champion going into Wrestlemania. This match will be a banger but Daniel Bryan retains. I’m really intrigued with which direction both guys will go following this event. I mean they might cross paths again in the chamber but who will they be up against at the show of shows. 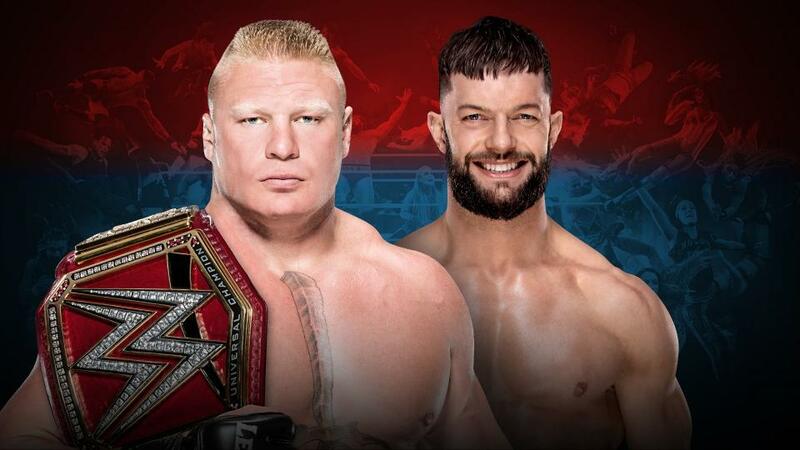 In another match I never actually thought we were going to get, especially at a big event like the Royal Rumble, its Finn Balor challenging the Universal Champion Brock Lesnar for the belt he never lost. Finn Balor who was the first ever Universal Champion was struck with bad luck being injured the same night he won the belt forcing him to vacate it the next night, struck some good luck due to an injury forcing the original challenger Braun Strowman not to be cleared to face Brock. This allowed Finn to earn the opportunity to face the “Beast Incarnate” at the Royal Rumble. Lesnar has a track record of having better and more memorable matches with smaller superstars rather the guys his size or bigger. Lesnar has told better stories with the like of Punk, Bryan, Styles, Rollins and Balor compared to the ones he told with Reigns, Strowman, Show, Kane and Undertaker in the ring. I think its the suspending my disbelief and the fact that Brock underestimates his smaller opponents that tells a better story because they always take advantage of that fact. I think immediately everyone sees Brock retaining in a fun match but there’s one factor that changes everything. Does Finn show up as his regular ol’ self or do we get a special appearance by his alter-ego the “Demon King” Balor? I mean regular Balor basically guarantees that he isn’t going to win but Demon Balor hasn’t lost a match yet so maybe he beats Brock? I mean are we going to throw away another great streak at the expense of Brock Lesnar? The Demon would have to win if he showed up even though that would piss off many fans who take wrestling too seriously. The last time we saw the Demon, he appeared at SummerSlam to beat Corbin which kind of seemed like a waste but I think they’re trying to make it a SummerSlam tradition. This seems like a more reasonable reason to bring the Demon out but we’ll have to wait and see. It’s one of the most fun matches of the year and this year more unpredictable than usual. It’ll also be the first Rumble in a while were Roman Reigns won’t be in the final four unless he makes a surprise return. I’m sure this one will be earlier in the show and they might close it with the women again considering I feel like there is more potential to end the show with a bang with the women’s Rumble if it ends how I predict. 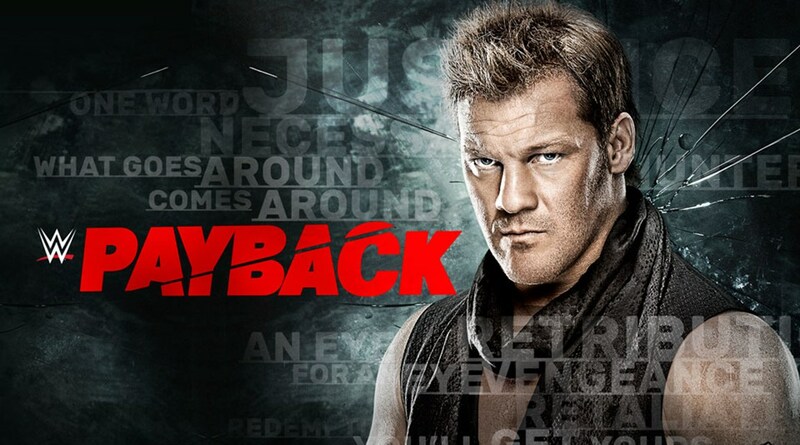 Although, if Reigns was to return…it would be fair for this to go on last. 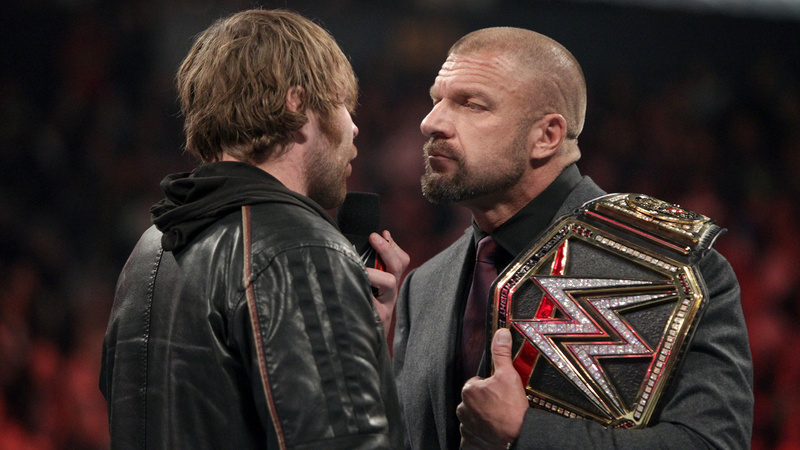 However, lets focus on the people we know actually will be in the Rumble and make a prediction. There are 18 confirmed names already which means there is still a ton of space for people to announce that they’re in and for surprises. I can see a couple of legends and maybe some 205/NXT/NXTUK stars making surprise appearances. Maybe we’ll get the likes of Kevin Owens returning. 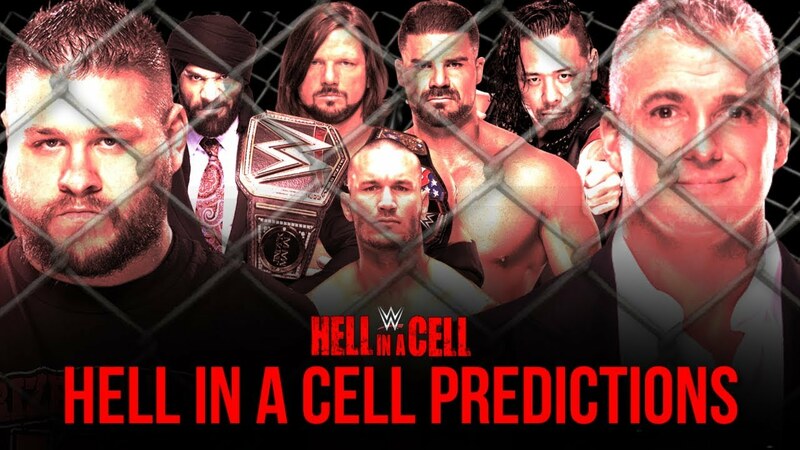 There are names in this match such as John Cena, Rey Mysterio, Drew McIntyre, Jinder Mahal, Dean Ambrose, Seth Rollins, Elias, Bobby Lashley, Jeff Hardy and Samoa Joe in this match which are some big names already. My gut just has me feeling like this year the Rumble is going to be won by a Raw star as they really need to build more top stars since they really haven’t push any of their guys to that level since losing Reigns and Strowman lost his momentum. If it was up to me, I think its time Seth Rollins secures himself a Royal Rumble victory to add to his list of accolades and rightfully put him back in the main event scene where he belongs. 15 woman are confirmed and that means unless more get announced this final week heading into the event, we got 15 surprises. I think last year being the first ever women’s Royal Rumble we highly anticipated the surprise entrants and returning legends but this year I feel like its really been downplayed. 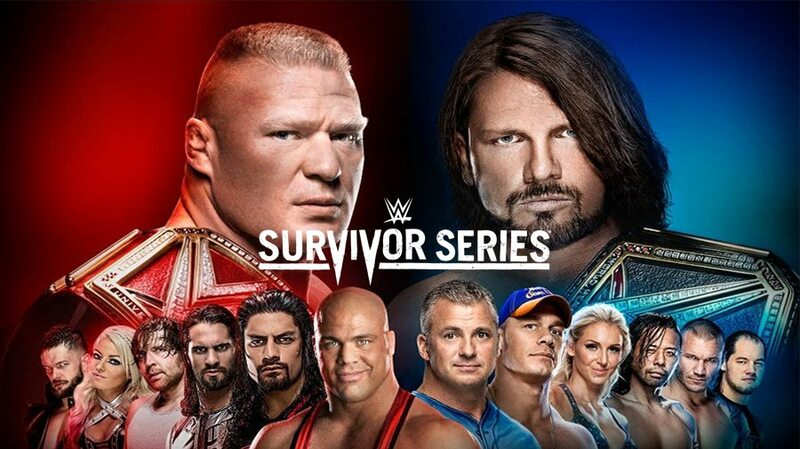 I’m sure we’ll see some of the same faces we saw participate last year and participated in the battle royal we got at “Evolution.” I wouldn’t mind seeing Trish Stratus, Lita, Michelle McCool, Madusa, Beth Phoenix, Kelly Kelly or Molly Holly to name a few showing up again. 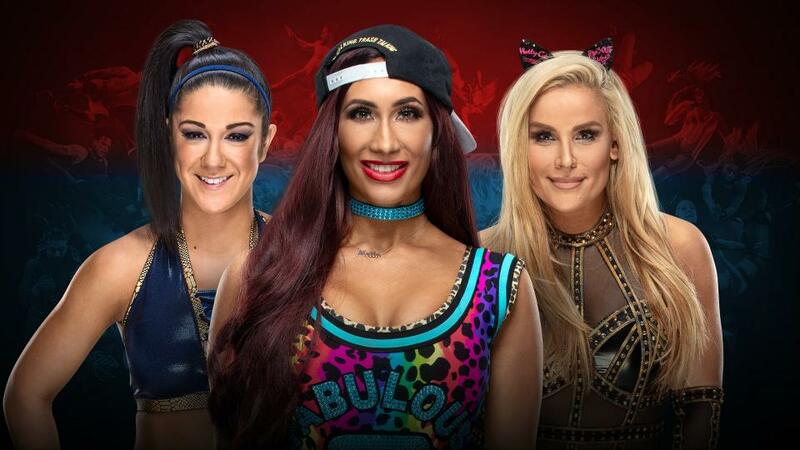 I wonder if we’ll see some faces we havent seen though in in the previous battle royals like Melina, Eve Torres, Eva Marie or other names I can’t think of.  I’m sure we’ll see a fair share on women from NXT, NXT UK and maybe a couple of women who participated in the Mae Young Classic. Big names already announced for the match include Carmella, Natalya, Bayley, The Riott Squad, The IIconics, Mickie James, Naomi, Mandy Rose, Sonya Deville and Ember Moon to name a few. There is even names who haven’t announced their intention to participate yet such as Charlotte Flair, Nia Jax and Tamina Snuka. I think my biggest favourite to win would be Charlotte Flair if she enters. 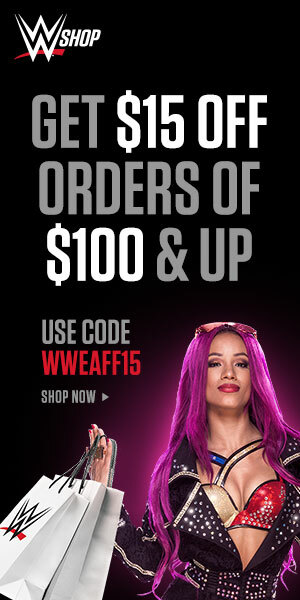 Then again, WWE.com announced that Sasha Banks, AJ Styles and Finn Balor will not be participating in the Royal Rumble matches but excluded Becky Lynch’s name. On that note, I say we end the night with a bang and THE MAN walks out the winner of the 2019 Royal Rumble.